Early Friday morning, Fr. Rick and a couple of others and I will get in our rental car and head for the Prophets Then, Prophets Now conference in Albuquerque, NM. I am looking forward to it, since well known Benedictine Joan Chittister, and Franciscan Fr. Richard Rohr will be leading it. “God does nothing without telling prophets about it. When the lion roars, who is not awakened? Interesting how the presenters say that Prophets are one of the highest rankings of gifts in the Church, yet are often ignored and generally unwelcome. If anyone cares to, a prayer for our journey would be appreciated. Can a man regarded by Hindus and Muslims as a saint offer me any guidance? If I can get past my Western & Christian arrogance and hear him, yes I think he can. "Maybe the reason is spiritual laziness. Collecting information is easy; transformation involves hard work." Transformation IS hard work, and who wants to do it? Easier to collect volumes of data and facts than it ever is to seek the Truth and get into the real work of allowing that Truth to change our lives. In these days when torture is so often in the news headlines, it can be very easy to forget that to torture someone is not only morally wrong, but in the end self defeating. 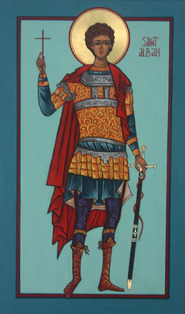 Today we can see that very point in the life of St. Alban. Alban was a pagan, and a soldier in the Roman Army. We aren't exactly certian if he died under the persecution of Christians under Emperor Diocletian in 304 (the traditional date) or in what appears more likely these days, the persecution under Emperor Septimius Severus in 209. The point of the matter is that a Christian Priest was running from arrest and certain death, and took shelter in Alban's home. Over the next few days the two talked at length, and Alban became a Christian and received the Sacrament of Baptism. When officers came in search of the priest, they searched the house, and Alban disguised himself in the cloak of his guest and gave himself up in his place. He was dragged before the judge, tortured, and threatened. When after all this agony, he still would not deny his faith, the judge condemned to him to death, and Alban was beheaded. Alban is thereby the first recorded Christian martyr in Britain. The second, interestingly enought, was the executioner who was to kill him. But, that man when he heard Alban's testimony and was so impressed that he became a Christian on the spot, and refused to kill Alban. He was exectuted immediately for his disobedience to the Empire. The third was the priest, who when he learned that Alban had been arrested in his place, hurried to the court in the hope of saving Alban by turning himself in, however it was too late to save him. Alban bore great tortures and torments for our Lord, not only patiently, but joyfully. He has been a Patron of torture victims ever since. My hope is that Alban would watch over and lift to God in prayer those people caught in the horrors and torments of torture, even today. Now we really have done it! Archbishop Akinola just might really have a fit over this! After all, at least the gay guy was a MAN! Seriously, I am happy and excited to see women returned to their rightful place along side men as the Spirit continues to move in this world. May God continue to bless all His Church the world over. I love this cartoon and post from Cartoon Church. "We found out in the Church of England that when some evangelicals attacked the appointment of Dr Rowan Williams because of previously held views that this backfired spectacularly on them. The first response of network and AAC leaders, in my view, should be that of welcome, prayer and a desire to meet with her. The rough stuff can come later." One of the great things about being in the Body of Christ is how you can connect at the most unexpected moments. This morning on the way to work, I happened to stop at a Quicktrip to grab some water. There were some Rivendell folks on their way to serve the victims of Katrina in the gulf coast. This "coincidence" gave me the opportunity to pray for them, their journey and the people they serve in Christ's name. God, our heavenly Father, whose glory fills the whole creation, and whose presence we find wherever we go: Preserve these Rivendell folk as they travel to the Gulf coast, surround them with Your loving care; protect them from every danger; and bring them in safety to their journey's end. I have noticed over the last few months the tendency for both sides of the political divide in our fair land to use a rhetorical argument called the "straw man". I hear or read it every day. "Wingnuts"* hate the poor (gays, blacks, Jews, whatever)" and "Moonbats"* hate America" (Jesus, Family values, babies). Clearly there may be a tiny fraction of either group that in fact hate this that or the other thing, but we as Christians must first and foremost be certain we do not break the Scriptural commandment not to bear false witness. As I understand it, the command not to bear false witness prohibited any harm done by word. In our political discourse today, do we do harm? I must be very careful not to ascribe motives or actions to people when I do not have specifics. It isn't easy. I strongly believe that we are to give a response to any specific thing we see, but blanket statements like "Liberals hate Christians" or "Wingers don't really know Jesus" are counter productive. Posting the Ten Commandments won't do diddly for our Nation, if we don't intend to live them out, they will be just dead words on a Granite Slab. Being liturgical has it's advantages many times during the year. I mean, how often do the non-liturgical Churches deal with the Doctrine of the Trinity? We (Anglican) do it once a year at least on the Sunday after Pentecost. And I am glad we do. So many of the independent Churches today do severe damage to Trinitarian orthodoxy because they can, their people have no clue what Trinitarin Orthodoxy even looks like. They have no idea that St. Athanasius, Archbishop of Alexandria, wrote a Creed long ago to help us understand what will, to human minds, remain a mystery. 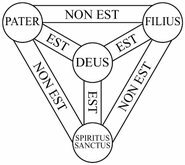 "... we worship one God in Trinity, and Trinity in Unity, neither confounding the Persons, nor dividing the Substance. " There is the essence of the Doctrine. Hard to understand, but then a great deal of Christian theology, is grounded in the unseen. Faith, for Christians, is there helping us to know what we can't see and is exactly opposite of modern American culture that demands that you only believe what you can see or what can be proved, or held in your hand. I do believe in One God; Father, Son & Holy Spirit - Amen. I did not write this homily, but I need to hear it. It seems to go right along with what the Emergent conversation was today in Tulsa. The homily focused on humility as a natural bi-product of holiness, and of true discernment. 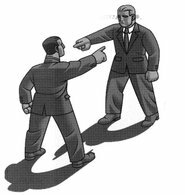 It is humility that allows us to stay in relationship with those who disagree with us. It is humility that allows us to say "I think that you are wrong, but that does not make you a worse American, Christian, or Human Being than me." It is humility allows us to admit that none of us knows the depths of the mind of God, and that it may in fact be we who are wrong. Humility also allows us to stand up for what we believe in with passion, while never demonizing or diminishing our personal, spiritual, or political adversaries. Humility reminds us to always remember who we are to God, and therefore who we are to each other. Humility is the language of one dying human to another, both at the foot of the Cross. Lord, this day and every day, help me to seek justice, to love mercy, and to walk humbly with You.